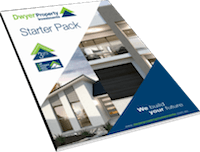 We are currently selling them as a house and land package, which is the cheapest way to purchase as stamp duty is only payable on the land contract, not the construction contract. –	Total package price (house and land) for middle terraces is $528,432 and end ones $530,900. 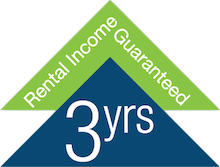 –	On completion, if they are an investment you get the guaranteed rental income for 3 years, if it’s your new home then simply move in. Elements terraces not only overlook the 3 km long linear park, you can step straight out your front door into the park with no road between you and nature. As we have already built 7 of these homes in the same estate so you can inspect the finished product before you decide.